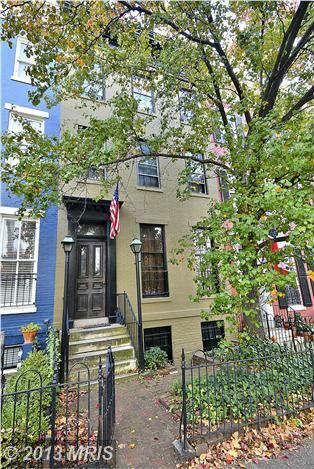 Average median home of a Capitol Hill South DC House for sale was $672,000. That is up 12.94% from last year when the average home sold in Capitol Hill South DC was $595,000. 30 Capitol Hill South DC Homes for sale were sold in November 2013. That only less than one house this time last year when 31 houses sold in that area. Average days on the market was only 23 days. That is better than last year when the average days on the market was only 30 days. One thing many people factor into consideration before they decide where they want to purchase a home in Washington DC is promixity. Promixity to the workplace,children's school(if you have kids)shops and restaurants. And I am sure that many people know that Washington DC is named one of the most traffic congested cities in America. Nobody likes to deal with traffic-I know I don't. But in response to citizen concerns about the speed and volume of vehicular traffic (including trucks) on streets in the Capitol Hill area, the District Department of Transportation (DDOT) has completed the Capitol Hill Transportation Study – Final Report. The study examined existing and projected transportation conditions within the study area, and developing short, medium, and long term recommendations for transportation management and infrastructure improvements. The recommendations aim to enhance mobility, traffic safety, pedestrian safety and bicycle safety within the study area. So that is great to know that they have acknowledge that traffic is a problem in Washington DC and they are going to start working on it. So if you are have dealing with traffic as one reason that might prevent you from buying a Capitol Hill DC South house in the 20003 zip code,rest assure that The DC Government is working on that. Just like us DC Real Estate Agents,we want more people to take advantage of the big changes that is going on so that you can buy a house in Washington DC. And after you sell your Captiol Hill DC South house,I am sure you want to buy a home in Washington DC or maybe buy another house out of state. Click on this liink to Search Washington DC Houses for sale. Also check out this Capitol Hill DC North Real Estate Market Report.